Hey, I am at a loss here. 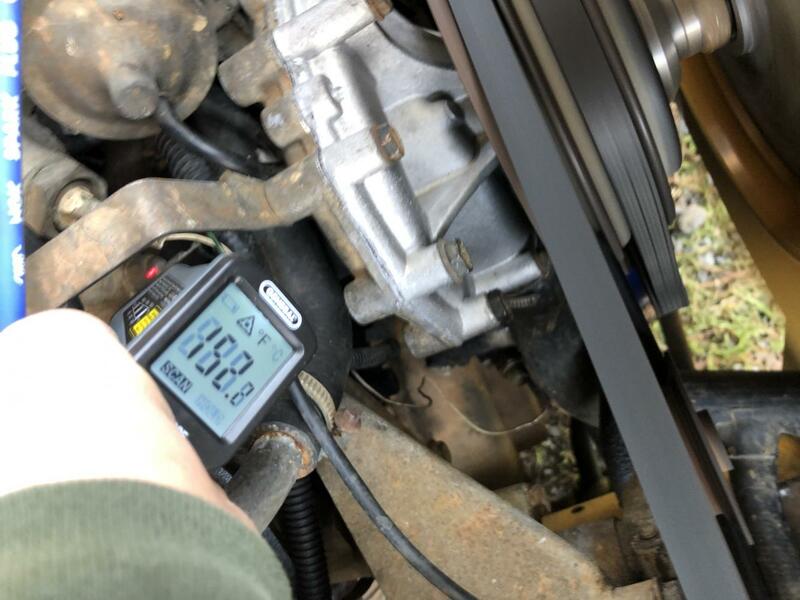 I bought my dream truck an 89 RRC County last summer and knew it had quirks like constant battery light (I had the alternator rebuilt, and a new optima battery, cleaned off all grounds except possibly one I missed? 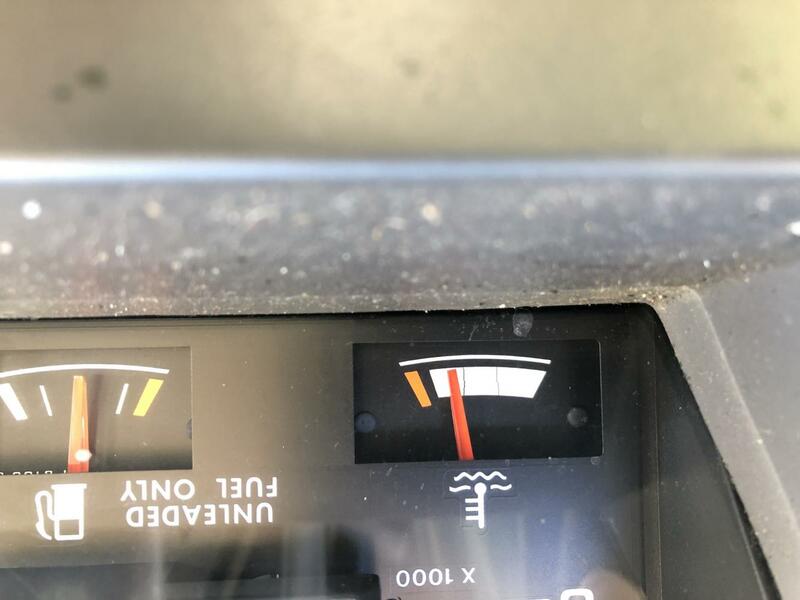 ), the washer fluid light (even though the res was full. Float switch probably corroded), The heater core diversion, some other odds and ends like leaks into the floor boards(probably sunroof drain) Oh yeah and rough idle (new idler thingy fixed that). 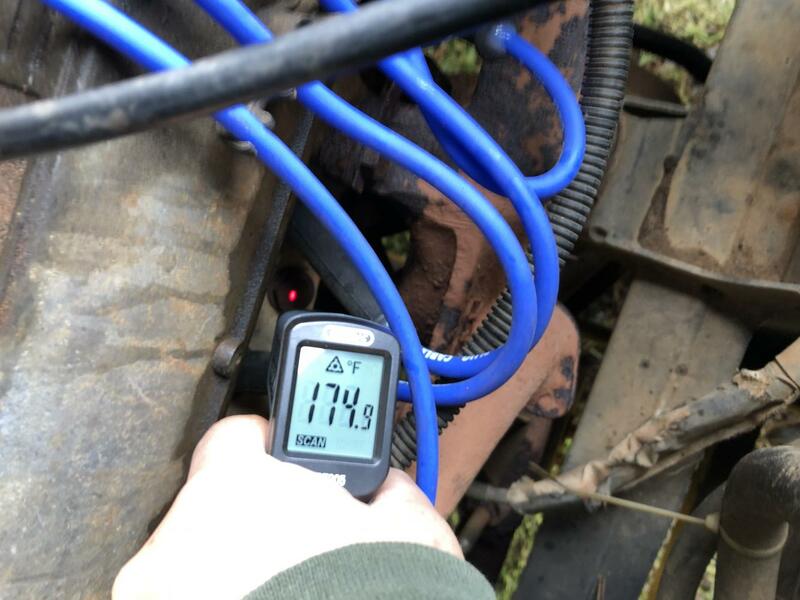 But with all that, I drove it through a blisteringly hot summer, it still ran a little warm well it was id say 3/5 of a tank warm on the temp gauge, I'd kick on the a/c and let the aux fans kick on and we were fine. Well, after all of that, I started noticing it would edge past the 3/5 line and work its way to the 4/5 line. The top line was tight so, I grabbed a new thermostat and installed it, thinking that would remedy the issue. It did... for a while. Winter arrives and I start noticing it still ran 3/5 - 4/5 warm I checked all the fans, they all worked, the thermostat was trucking along. I thought maybe head gasket??? So I checked the oil. Clean as a whistle, did the exhaust gas test on the radiator, the color never changed. So I said, what the hell, I replaced the heater core, It still went to 4/5 hot, then installed a new water pump, and some new hoses. Still 4/5 hot. I made sure I topped off with rad fluid all over the place, still, 4/5 almost reaching into the red but never getting there. It's not leaking rad fluid, It's not blowing white smoke, the oil's not milky. The viscus fan feels viscus-y when I turn it when warm... When I take off the cap to the overflow tank and squeeze on the hoses there is movement. 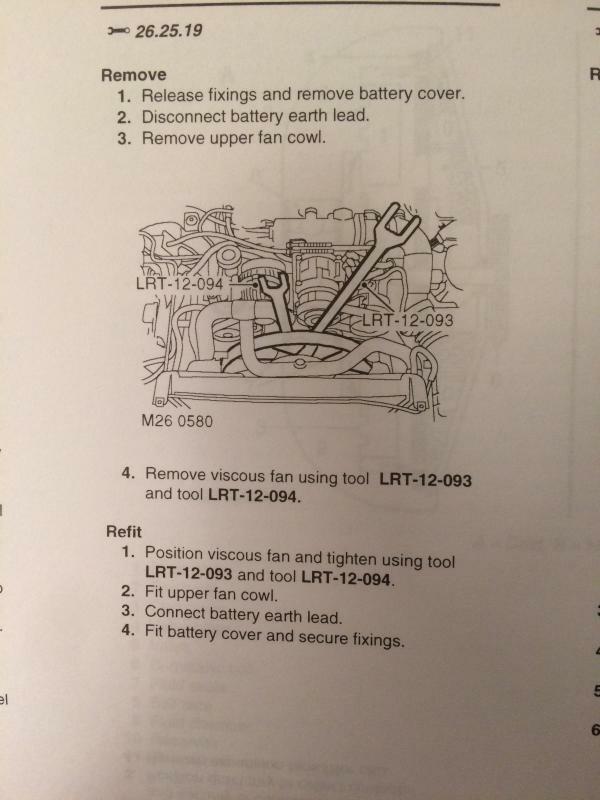 Is it the radiator? Is it the head gasket? Is it the temp sensor? The engine feels freaking hot (I don't have a thermometer) But is def baking. My question to the great and wonderful forum... What the hell is going on with my truck?!?!? I yield the floor. I was able to slow the fan almost to a stop. Can this be repaired? Or do I need to get a new one? Installed the clutch still running hot but not as hot. a little bit higher than 3/4 now but not 4/5. This is killing me. Should I check out temp sensors next? I recently read that with the new radiators today a flush does not work. Says that the passages are too small and that they meander back and forth in the radiator instead of traveling in, around and straight out. So does this radiator qualify for a flush? Well, I just re-read that this is a 1989. So have no idea when the smaller passage radiators appeared. Flushed the radiator multiple day flush. The water came out clean. Still runs warm 3/4 4/5. Radiator change is next. I will also order temp sensor but I am sure that is not the issue. Any more ideas? I flushed the entire system. I then took temperatures at separate points on the engine while running at different time intervals for over an hour. The hottest point on the engine was 175 at a bolt on the head on the passenger side in between the two center spark plugs. The engine still read warm. See attached images. It’s good that you have a infrared gun. Temps you show don’t indicate hot. I would try upper hose surface temperature and rad surface or rad tank surface temperature. If they are also su 190 then you can be very confident it is an inaccurate gauge.